The portrait and figure engraver William Holl the Younger was born in February 1807 at Plaistow, Essex. 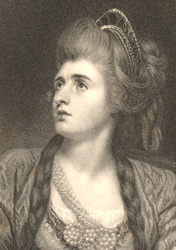 He was the eldest of the four sons of William Holl the Elder (c. 1771-1838) who taught him engraving, in stipple at first, but later in line on steel. 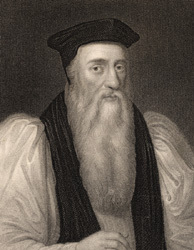 His first independent work was an engraving of Thomas Cranmer made in May 1829 for Edmund Lodge's Portraits of Illustrious Personages. Between 1829 and 1835 he executed a series of further prints for the same publication after such artists as van Loo, Holbein, Gerard, Vandyke, Lely, Kneller, Mytens, Hoare Coates, and Copley. He went on to contribute further portraits to William Jerdan's National Portrait Gallery (1830-34) and to Chambers's Biographical Dictionary of Eminent Scotsmen (1834). In collaboration with his brother Francis Holl (1815-84), he engraved illustrations to Finden's Tableaux of National Character (1837) and Gallery of Beauty (1841) and to The Land of Burns (1840). Another brother Charles Holl (c. 1810-82) assisted William throughout his career, while his youngest brother Benjamin (1808-84) was an important portrait and figure engraver in his own right. Holl's major projects of the 1840s were engravings after William Powell Frith and E. Hawkes in illustration of the poems of Thomas Moore (Beauties of Moore, 1840) and a series of scriptural engravings after artists as varied as Raphael, Rembrandt, Benjamin West and James Northcote for Blackie's Imperial Family Bible (1844) and John Kitto's Gallery of Scripture Engravings (1846-49). His later book work included portraits for the Imperial Dictionary (1861) and Thomas Baines's Yorkshire Past and Present (1871-77). In 1851 he engraved a large plate of An Old English Merrymaking after Frith for the Art Union of London. Two further plates after the same artist followed: The Village Pastor and The Gleaner and his Wife. In the 1860s he was engaged on portraits of the Royal Family: the Prince and Princess of Wales after photographs by John Jabez Edwin Mayall (1863), Queen Victoria after Albert Graefle (1864), and Victoria with her grandson Prince Albert Victor after Jabez Hughes (1866). Between 1860 and 1871 Holl exhibited twenty-two engravings at the Royal Academy mostly after George Richmond. He also enjoyed a great popular success with his engravings of Richmond's portraits of members of Grillion's Club. 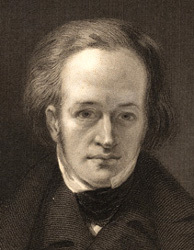 Holl died after a long illness on 30 January 1871.